The Afghanistan war moves into its ninth year on 7 October 2009 - the anniversary of the day in 2001 when the United States bombing began, just under a month after the attacks on New York and Washington on 9/11. The early weeks of the war appeared to show a rapid advance towards decisive military victory: intense US air-power and use of special forces combined with the significant rearming and financing of the anti-Taliban Northern Alliance to secure the collapse of the Taliban regime. Bradford's peace-studies department now broadcasts regular podcasts on its work, including a regular commentary from Paul Rogers on international-security issues. Listen/watch here Even at that stage, however, the relief and acclaim surrounding the entry into Kabul was shadowed by suspicion that in many cases the Taliban paramilitaries were choosing to disappear from sight rather than being vanquished in a conventional military campaign. There were suggestions that this applied to the al-Qaida network as well. "There are also reports that much of the network has dispersed, and that many of its personnel are even quietly leaving Afghanistan for neighbouring countries to the north and east. A dispersal could last months or years. The level of local support in countries such as Pakistan means that network personnel would be almost impossible to track down. If the US does deploy forces in Afghanistan in pursuit of al-Qaida, there may be little to find" (see "From Afghanistan to Iraq? ", 15 October 2001). The termination of the Taliban regime was concluded with the fall of Kandahar in early December 2001, but sporadic fighting continued through the winter and then flared up on several occasions in 2002. By then, the George W Bush administration was fixated on its evolving project of ending the Saddam Hussein regime in Iraq; as a result, Afghanistan receded from view. But the US army continued to maintain some thousands of troops in the east of the country, in the effort to end what was then understood as a relatively small-scale insurgency conducted by remnants of the former power. By 2005, the picture looked very different: the Taliban had begun to make a serious comeback and the al-Qaida movement was entrenched in the border districts straddling Afghanistan and Pakistan. A seasonal pattern was emerging characterised by substantial violence in Afghanistan during the summer months, especially after the opium-poppy harvest was slowly gathered in, followed by a comparatively tranquil period in the winter. 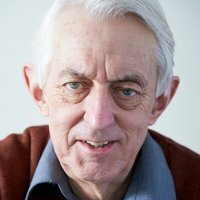 Paul Rogers's books include Why We're Losing the War on Terror (Polity, 2007) - an analysis of the strategic misjudgments of the post-9/11 era and why a new security paradigm is needed. A third edition of his Losing Control: Global Security in the 21st Century (Pluto Press, 2009) is forthcoming By mid-2006, there was increasingly bitter fighting in the southern provinces of Kandahar and Helmand that engaged American and British forces (along with Canadian and Dutch troops). Yet even greatly reinforced numbers of foreign troops were unable to prevent more and more areas coming under Taliban influence. In 2007-08, western military strategists became ever more deeply concerned that their pursuit of the war in Afghanistan was being undermined by western Pakistan's role as a safe haven for Taliban and al-Qaida paramilitaries. The closing months of the Bush administration saw the beginnings of a US military "surge" in Afghanistan (on the pattern of Iraq in 2007), backed by the spreading use of armed drones and supplemented by heavy diplomatic pressure on the Pakistani army to challenge the Taliban in its old or new heartlands (such as the Federally Administered Tribal Areas [FATA] and the Swat valley). The Barack Obama administration, in the first nine months of its life, has followed the Pakistan policy of its predecessor. There has, for example, been a further rise in the number of drone attacks as well as in troop deployments (see "Drone wars", 16 April 2009). At the same time, the delays in responding to General Stanley McChrystal's request for an additional steep increase in troop numbers (perhaps as many as 40,000, which would take the total of foreign troops in Afghanistan close to 150,000) reflect serious discussion in Washington about the current "AfPak" strategy. Several recent columns in this series have highlighted the difficulties facing the US military effort. 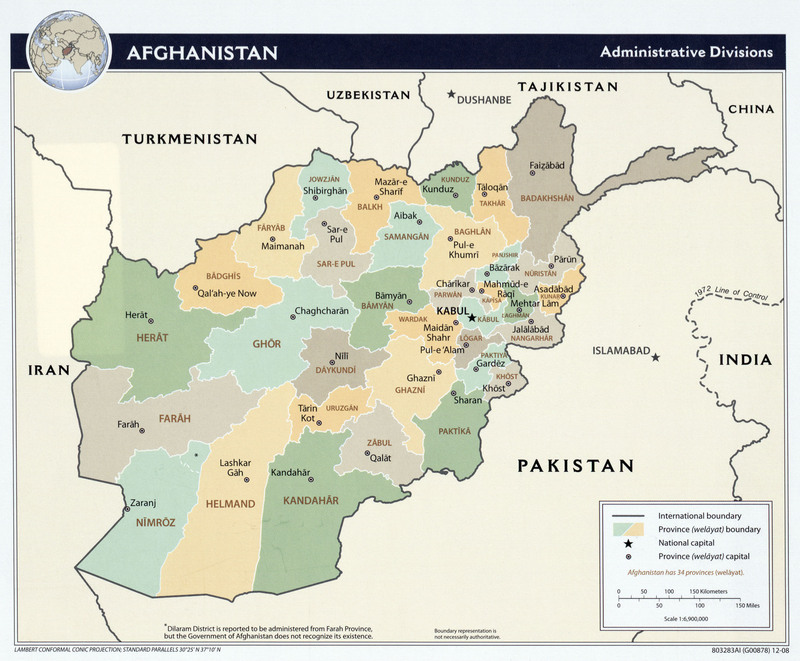 They include the growing sophistication of the militias within Afghanistan (see "The Afghan dilemma", 4 September 2009); and the extension of militia activity to the north of the country (for example in Kunduz province on the border with Tajikistan) and to the takeover of parts of Kandahar in the south (see "Afghanistan: limits of military power", 18 September 2009). In the past month there have been two further developments, one on each side of the Afghanistan-Pakistan border; together, these may determine the course of the war in the 2009-11 period. The first is in Pakistan, where Asif Ali Zardari's government has been encouraging the army to escalate its offensive in the Swat valley offensive into a broader assault on paramilitaries in the key provinces of North and South Waziristan. The president's motivation is in part to secure a promised $7.5 billion in civil aid to Pakistan in 2009-13 from the US Congress; in part too, it is the Pakistani leadership's worry over the growing power of radical Islamists, seen in some elite circles as presenting a threat to the very viability of the state (see Jim Lobe, "U.S. Congress Approves Big Increase in Aid to Pakistan", IPS, 6 October 2009). The Obama administration strongly supports Zardari's pressure for an assault; it hopes that a major Pakistani military effort plus the US's own continued use of drones to target Pakistani Taliban and al-Qaida figures may weaken these adversaries (and possibly even lead to the death or capture of Osama bin Laden and Ayman al-Zawahiri themselves). The Pakistani public's opposition to Islamist operations (such as the suicide-bombing of a World Food Programme [WFP] office in Islamabad on 5 October 2009 which killed five people) is encouraging to the Islamabad government's anti-Taliban drive; at the same time, the more marked involvement of US forces within Pakistan - and the regular civilian casualties that accompany drone attacks - increases the popular anti-American mood (see Karen De Young & Scott Wilson, "Pakistanis Balk at U.S. Aid Package", Washington Post, 8 October 2009). For its part, Washington views the prospect of major Pakistani army actions in the Waziristans as greatly welcome at a time of deteriorating security in Afghanistan. The second recent development is relevant here. This is the way that an insurgency centred mainly on the Taliban is beginning to be transformed into a more general insurrection directed at foreign occupiers and the Afghan government. A feature of this evolution is that the campaign involves fighters drawn from well beyond traditional sources - committed Taliban supporters and militias linked to warlords. A notable instance of this trend is the attack on 3 October 2009 on two American outposts in Kamdish district of Nuristan province, near the border with Pakistan. The bases had been positioned in areas that allowed them to interrupt the movement of military supplies from Pakistan to Afghanistan, though the degree of local opposition meant that the US forces installed there had been unable to conduct extensive foot-patrols. It nonetheless came as a brutal shock when local militias were able to organise a well-armed force of around 300 paramilitaries to stage an all-day assault which placed the local US troops under intense pressure - even though they had superior firepower on the ground and were able to call up close-air support. This meant too that could inflict heavy casualties on their assailants, but themselves lost eight killed and many wounded, with several Afghan police also killed and thirteen officers (and the district police chief) captured. The great significance of the Kamdish attack is that the US army initially said that it was conducted by "Nuristani tribal militia" and that "the sources of the conflict in the area involve complex tribal, religious and economic dynamics" rather than the Taliban (see "US, Afghan troops beat back bold enemy assault in eastern Afghanistan", Long War Journal, 4 October 2009). This characterisation, if true, implies that the resistance to the US presence is not confined to the Taliban and certain warlords but rather is far more general. The US army, perhaps aware of the dynamite buried in its early description, then claimed that Taliban and other elements "may have helped facilitate the attack"; this in turn was followed by another "clarification" - that this was actually a Taliban operation aided by al-Qaida's "shadow army" and paramilitaries linked to the veteran mujahideen warlord Gulbuddin Hekmatyar. The intensity and number of attacks in Afghanistan in September-October 2009 make it apparent that the American and British counterinsurgency forces now face an evolving insurgency rooted much more in local communities than in itinerant Taliban paramilitaries. The context of this situation is that many Taliban elements may be far more embedded in local communities than had been assumed - or that they are being joined or supported by local militias motivated to act primarily against foreign occupiers, rather than impelled by any fierce religious orthodoxy. In either case, there are ominous signs that an insurrection may be starting to evolve. It may go quiescent during the coming winter, and it is possible that Islamist paramilitaries across the border in western Pakistan will be constrained by Pakistani army operations before winter fully sets in. But by May-June 2010, a clearer understanding of just how entrenched is the opposition in Afghanistan to foreign troops could be possible. If the insurgency does indeed become an insurrection, then whatever happens in Pakistan could be much less relevant than Washington's military planners currently think. Afghanistan's ninth continuous year of war promises to be decisive.